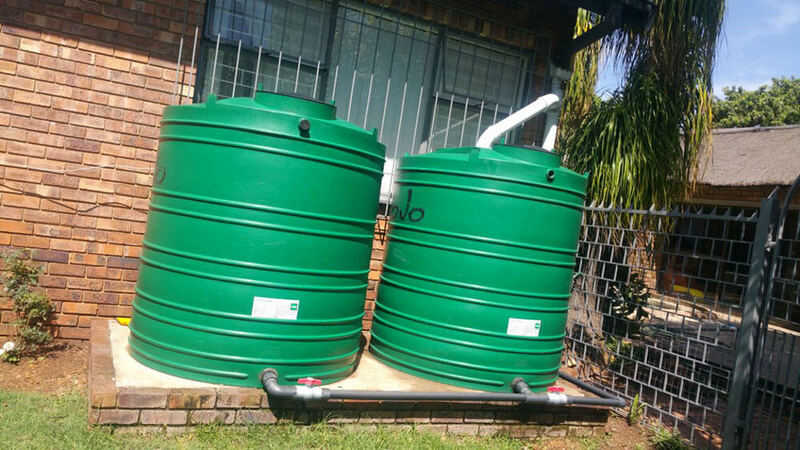 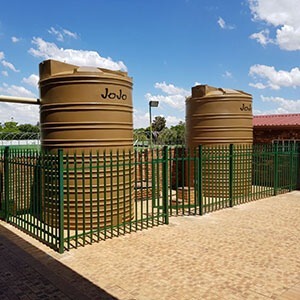 Water tanks installed by Skunk Water, an accredited JoJo Tank installer. 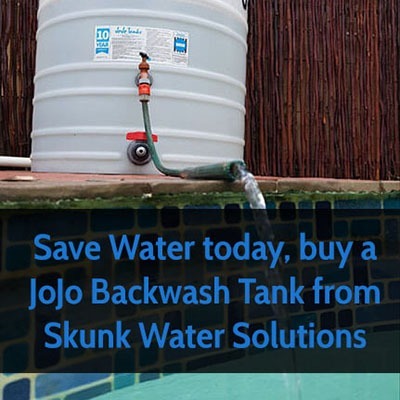 A big thank you to Shane Judge from Skunk Water Solutions in Southcrest. 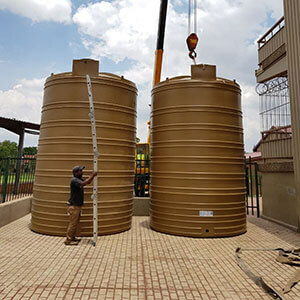 Tersia Burger (CEO) with Shane Judge from Skunk Water Solutions in Southcrest. 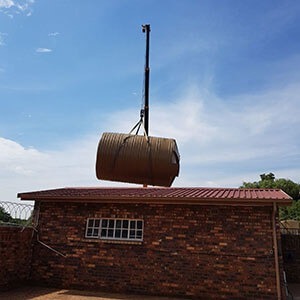 The Stepping Stone Hospice gardens, at their In-Patient Unit in New Market Park, are a true haven for the patients and their families. 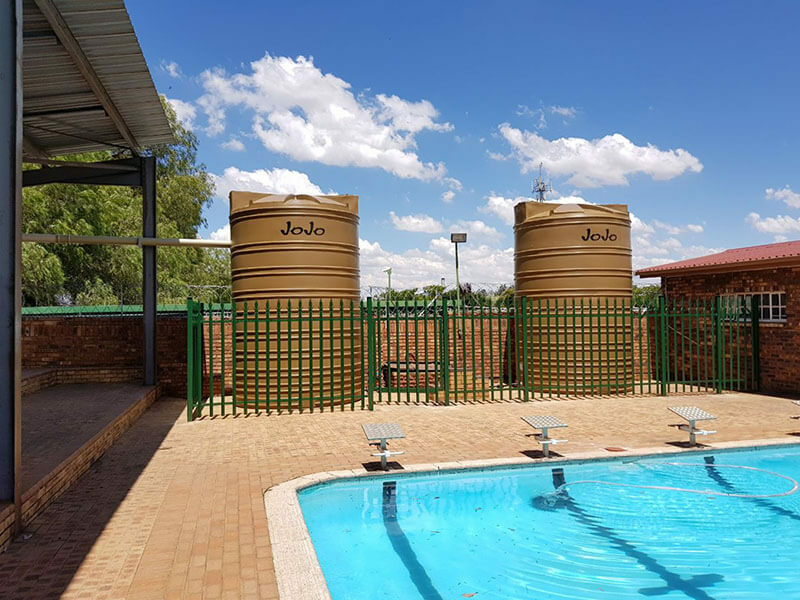 It is a tranquil area where they can share some special, and in many cases, last moments together. 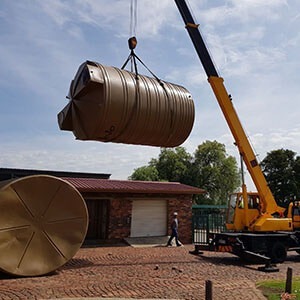 Maintaining the gardens, however, can be a costly exercise, according to Tersia Burger, CEO of Stepping Stone Hospice. 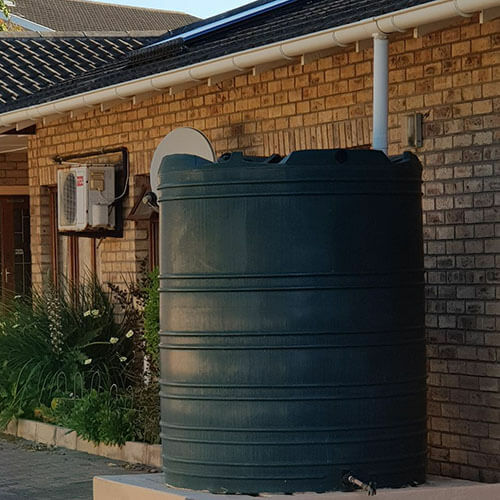 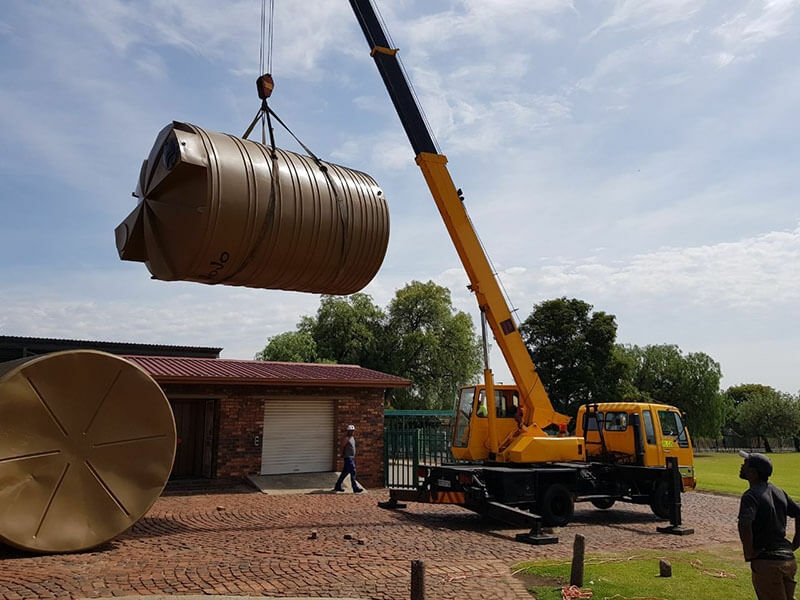 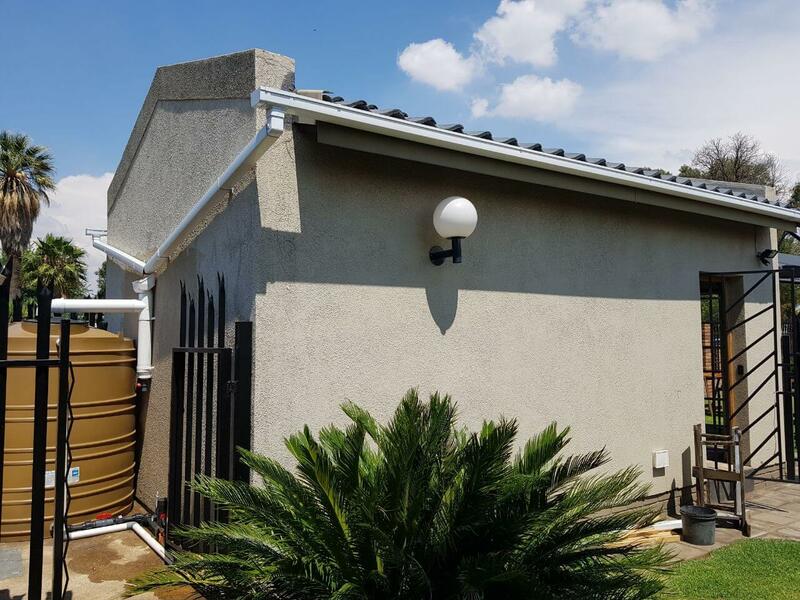 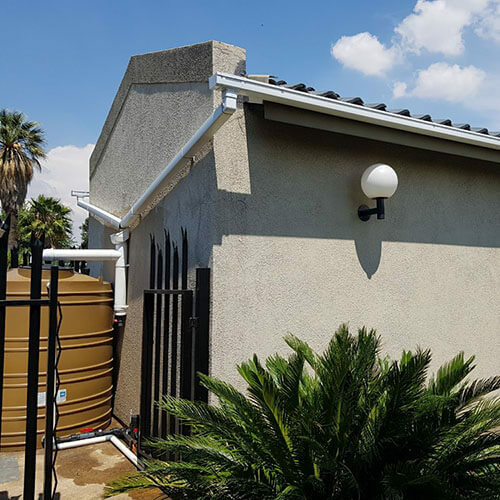 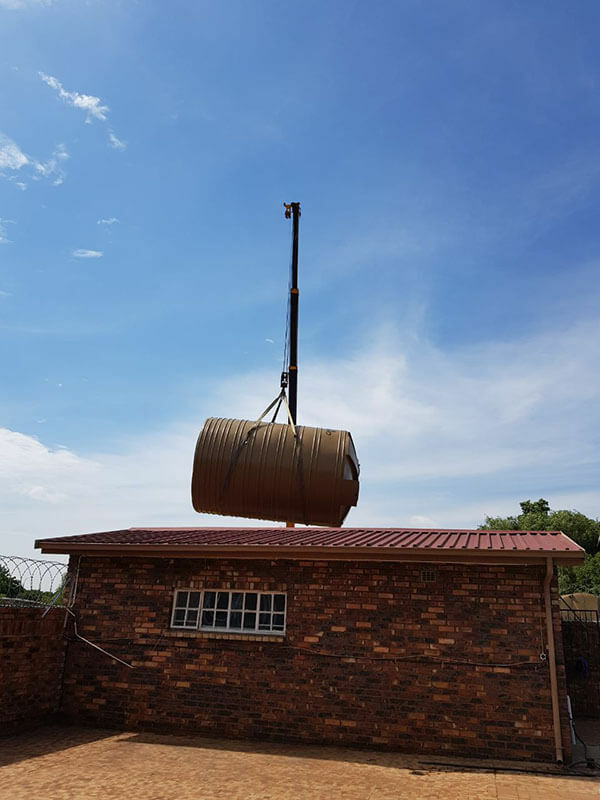 Shane Judge from Skunk Water Solutions in Southcrest, Alberton, came to the hospice’s rescue with a donation of a 5 000 litre JoJo tank, completely installed as well as adding the gutters to the building. 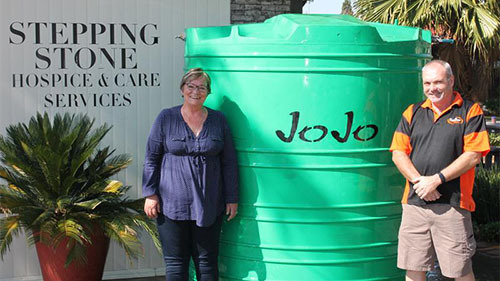 “Having a JoJo tank has been an item on our wishlist for a long time,” said Tersia. 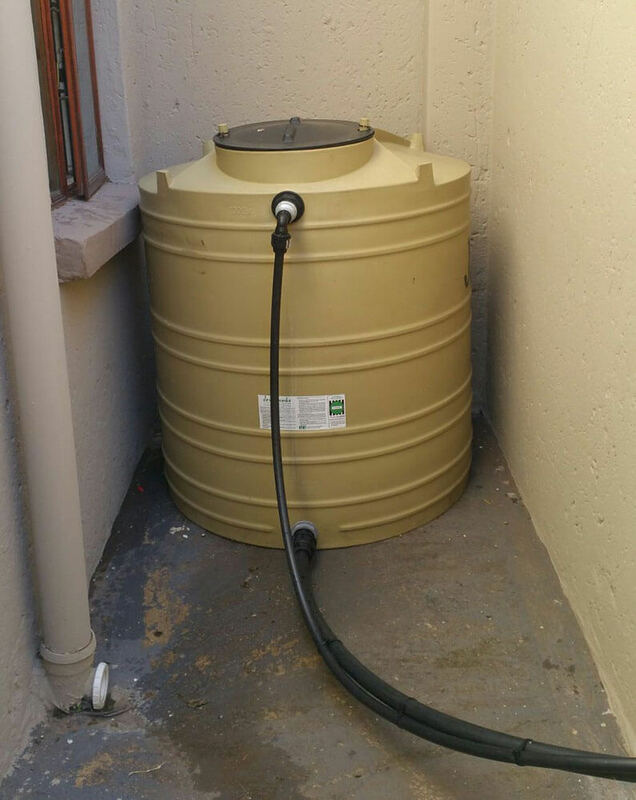 “So a huge big thank you to Shane and his team for ticking this item off our list. 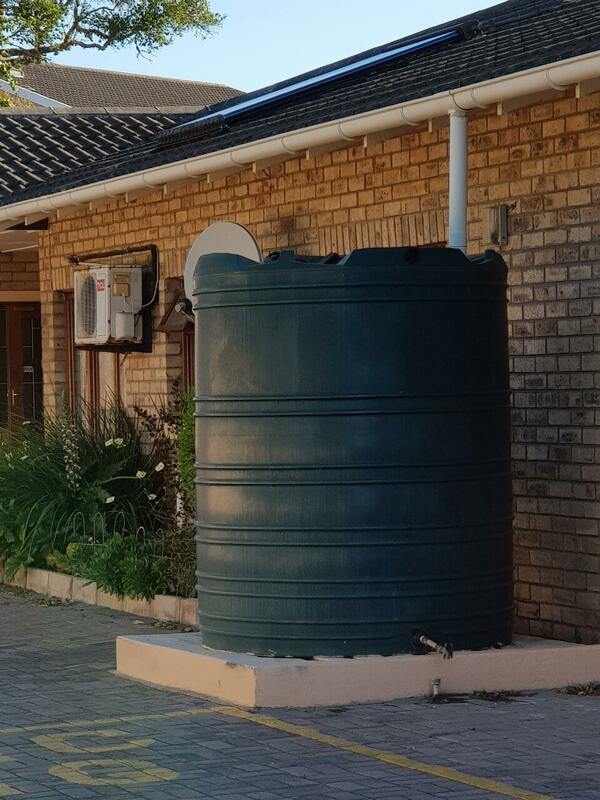 Now we wait for the rains to fall. 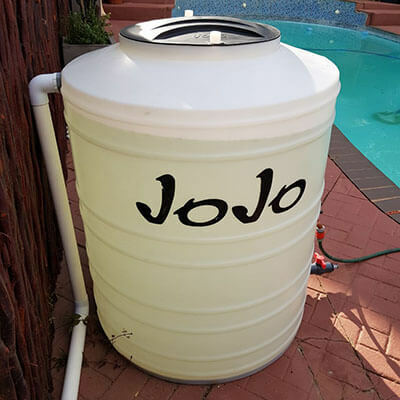 The 500-litre JoJo Backwash Tank will allow you to collect and reuse water backwashed from the swimming pool. 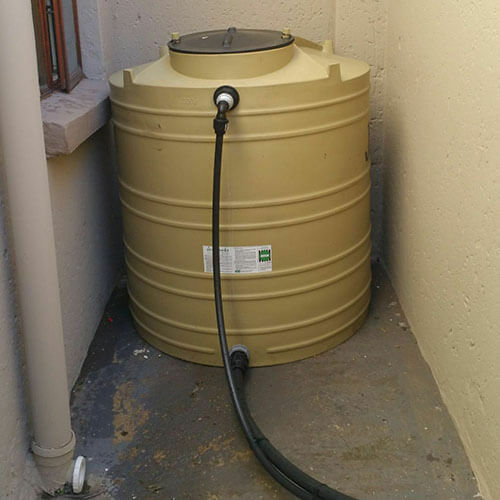 The tank relies on collected backwash water to stand, allowing the dirt to settle at the bottom. 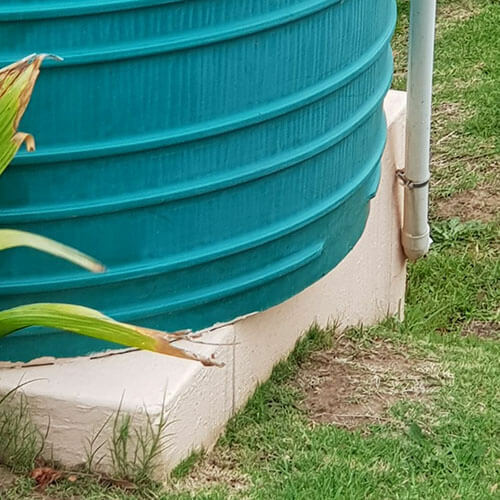 Once settled, the clear water, which collects at the top of the tank can be returned to the swimming pool, while the dirty water that collects at the bottom can be used for garden irrigation. 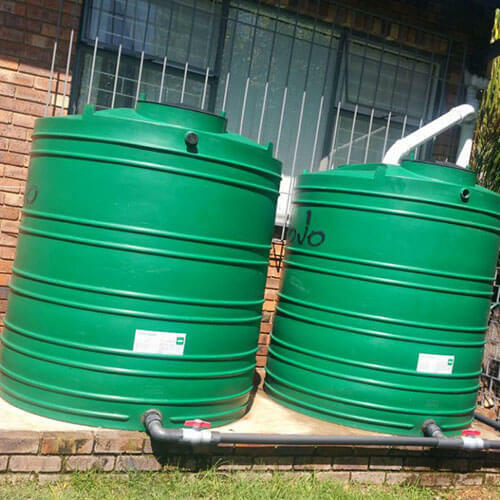 It has strategically positioned taps which allows you to extract both clean and dirty water accordingly. 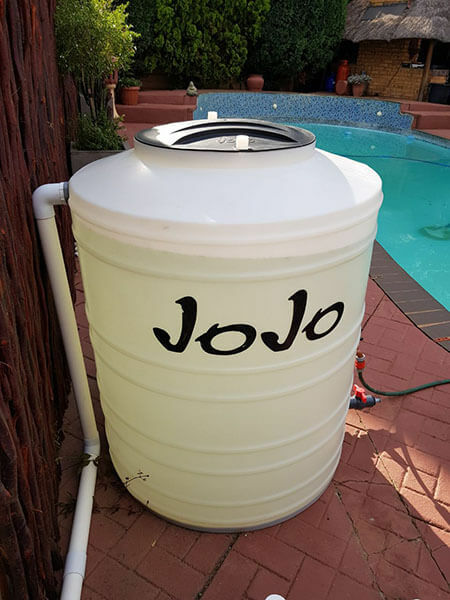 The tank is made from transparent UV-resistant polymer, meaning water quality is plainly visible. 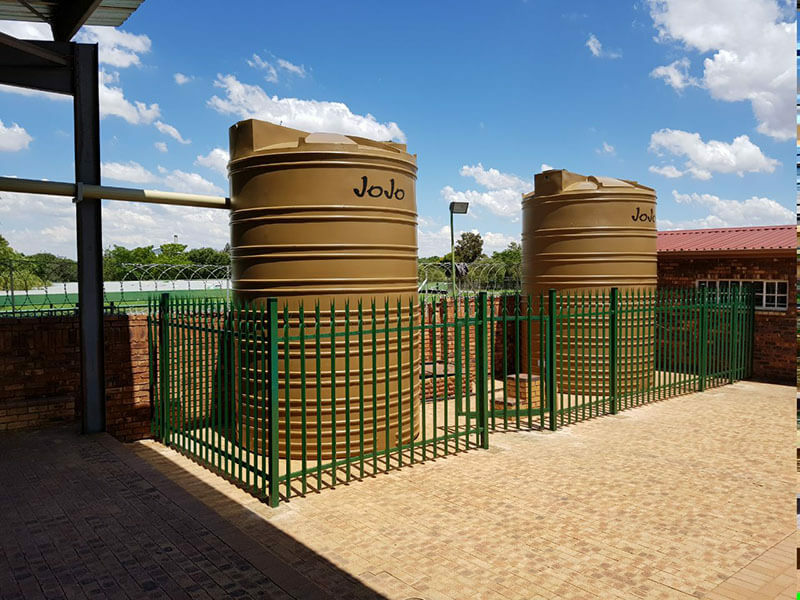 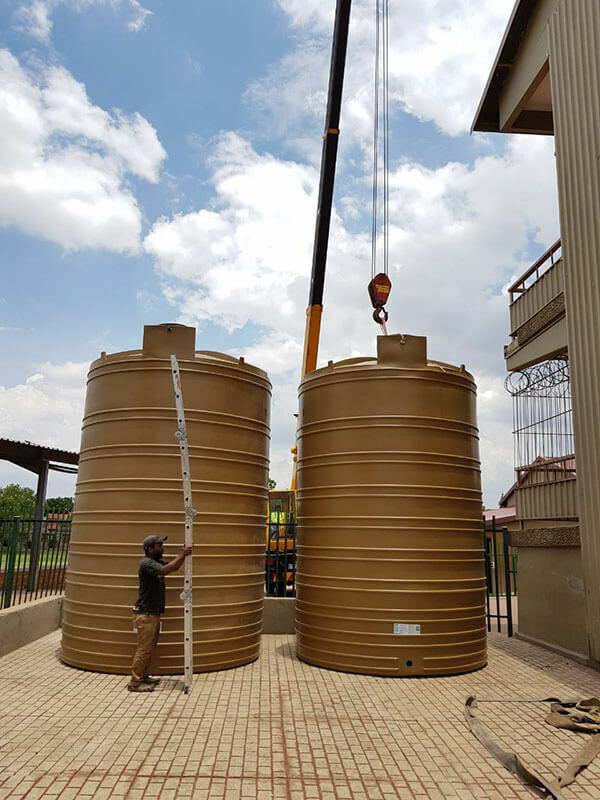 2 JoJo Water Tank Installation done in Alberton for Alberview Primary School. 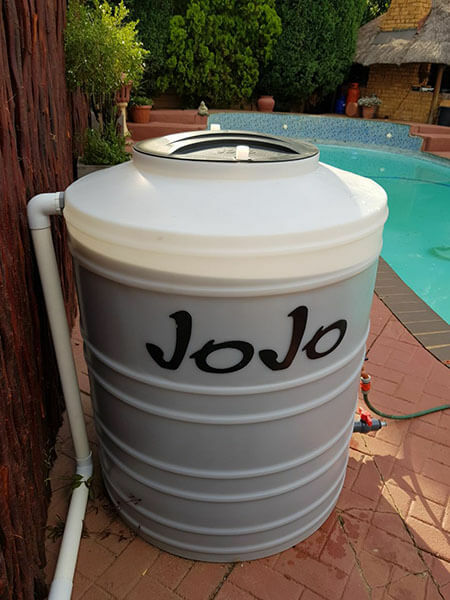 2500Lt Rainwater Harvesting JoJo Tank with First Flush & Leaf Eater. 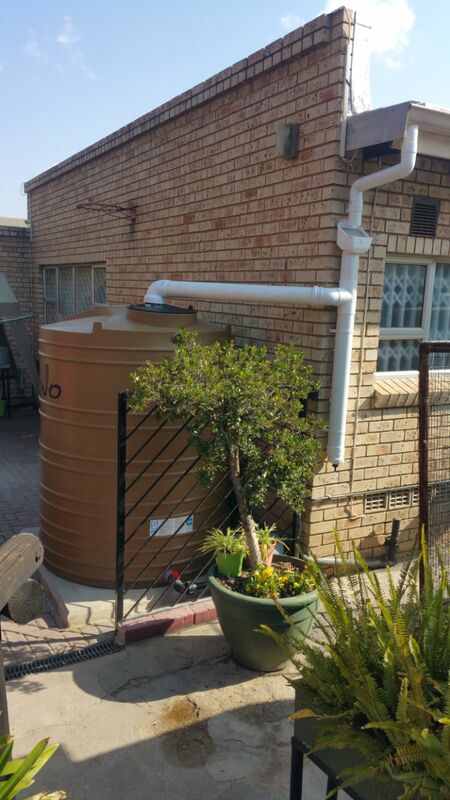 Installed in Glenvista. 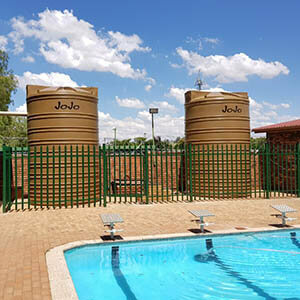 2200Lt x2 Rainwater Harvesting JoJo Tanks on Concrete Foundation. 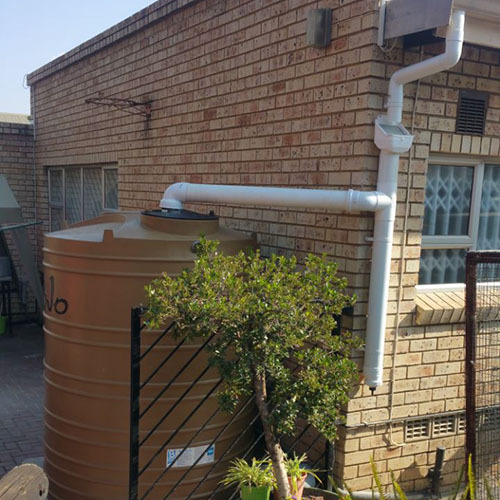 Installed in Randhart. 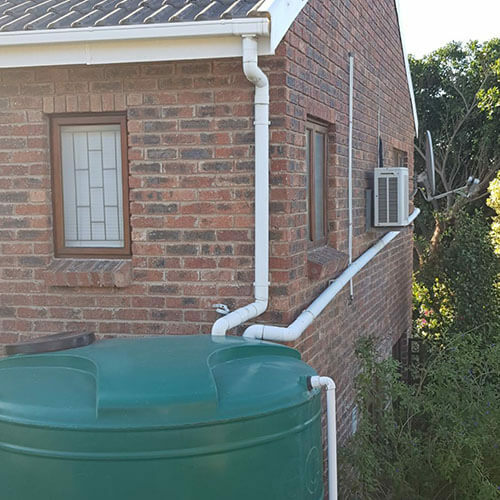 Contact us for consultation on existing installations, here are some examples of incorrect installations. 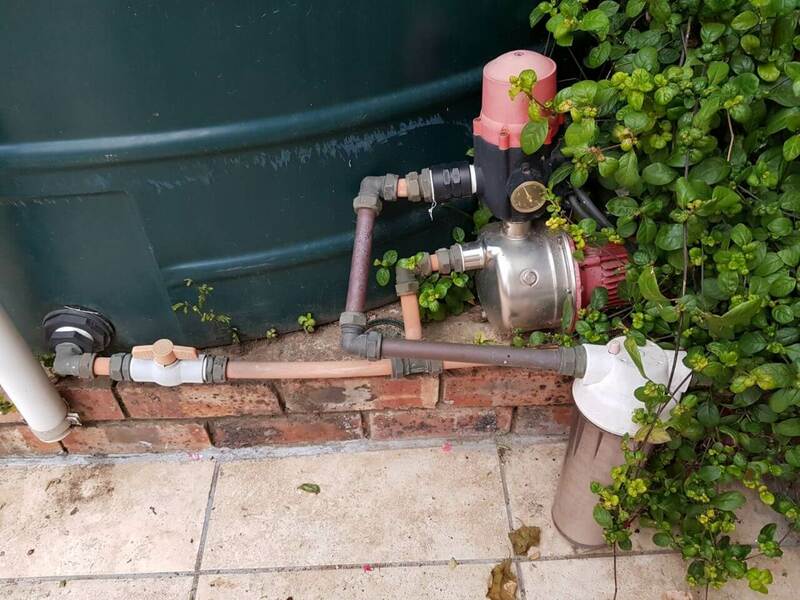 There is no pump cover. 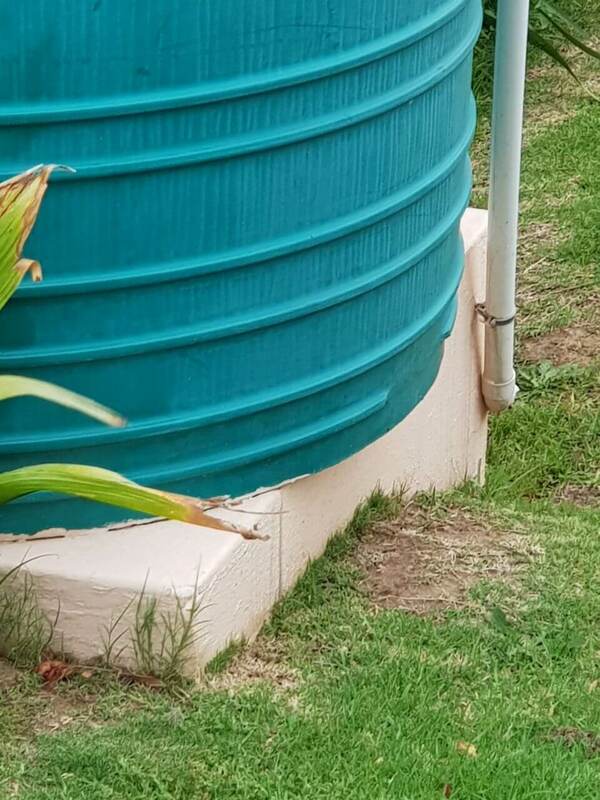 The piping from the tank to pump should be 40mm. 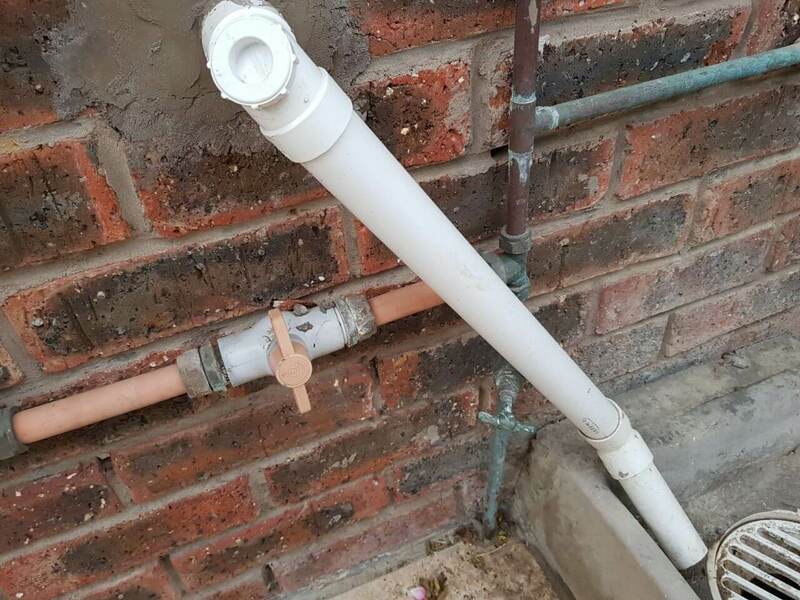 Outlet must be the same as the inlet. 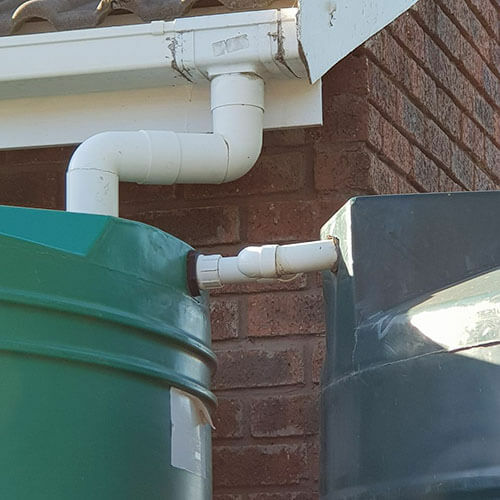 There is no first flush diverter. 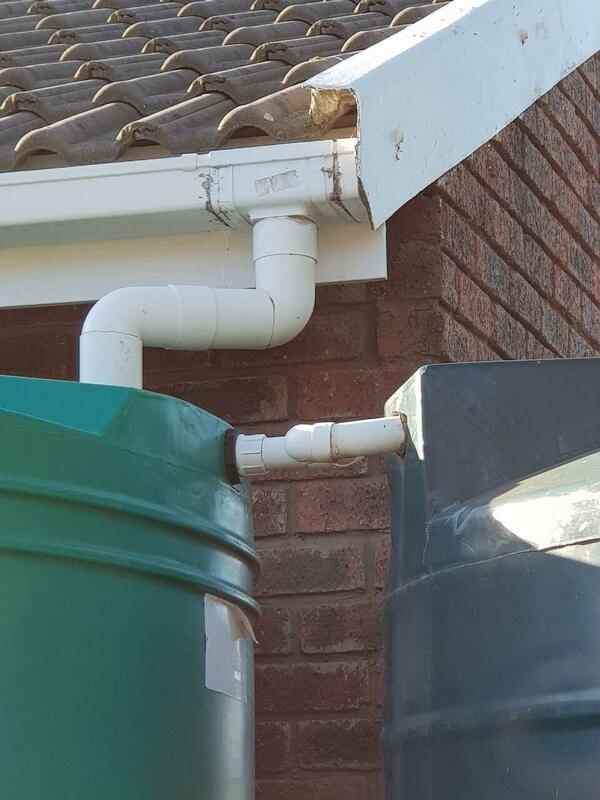 The overflow pipe is too small. 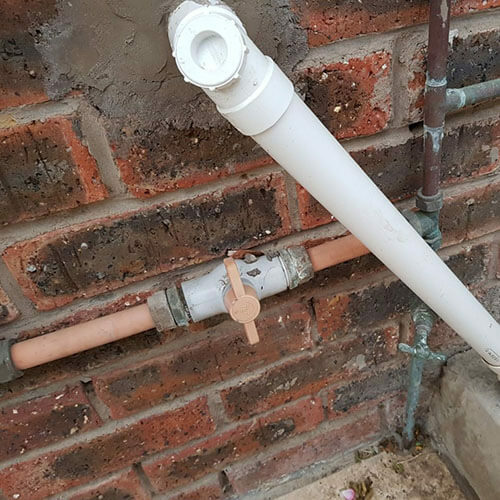 This pipe is too small, it should be 80mm. 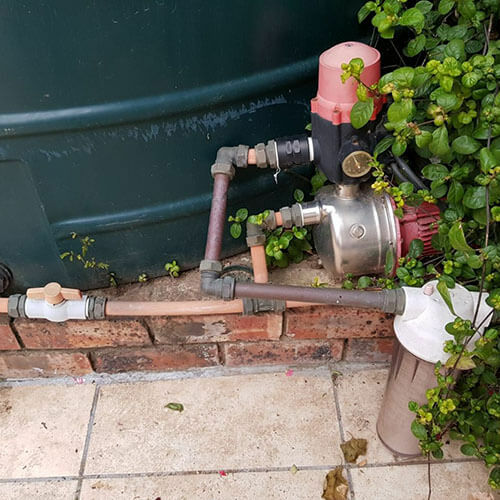 Should have a leaf eater and first flush diverter. 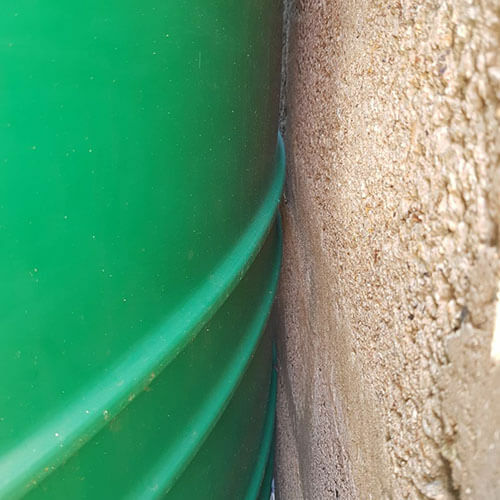 Water will contain sediment. 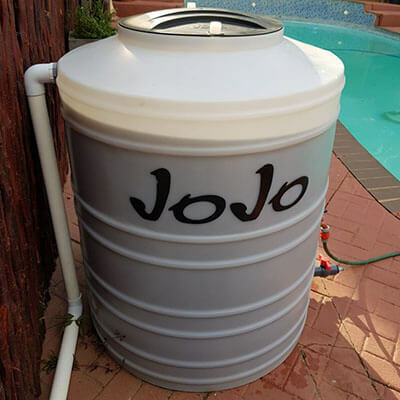 The JoJo tank should not extend further than the foundation. 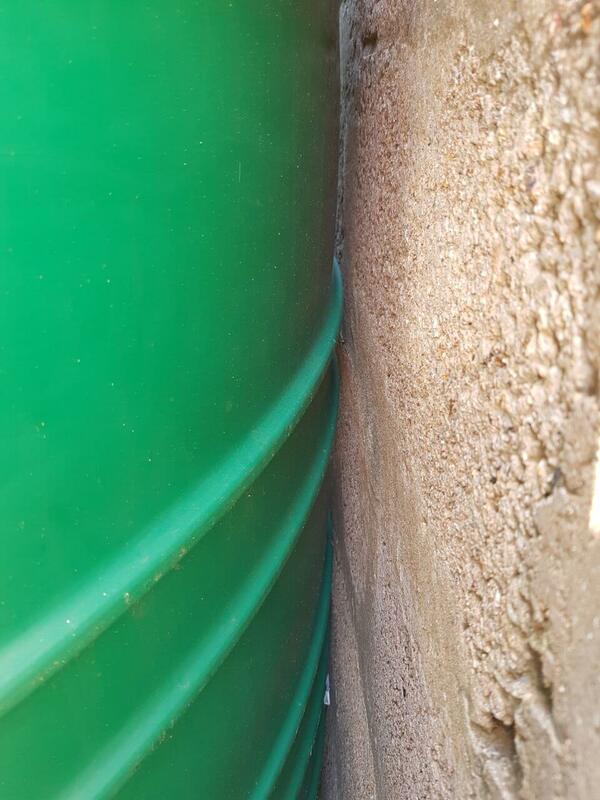 The water tank should not be touching the wall. 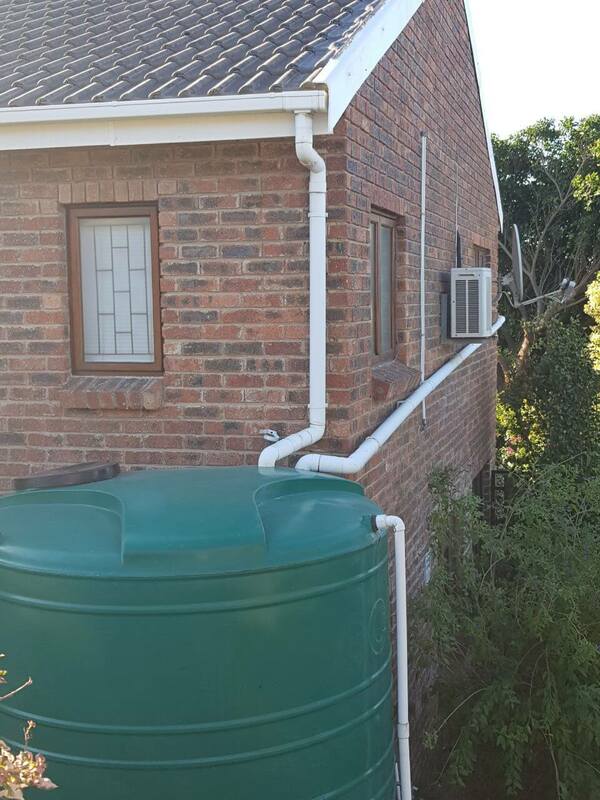 Rainwater Harvesting installation with no non-return valve.